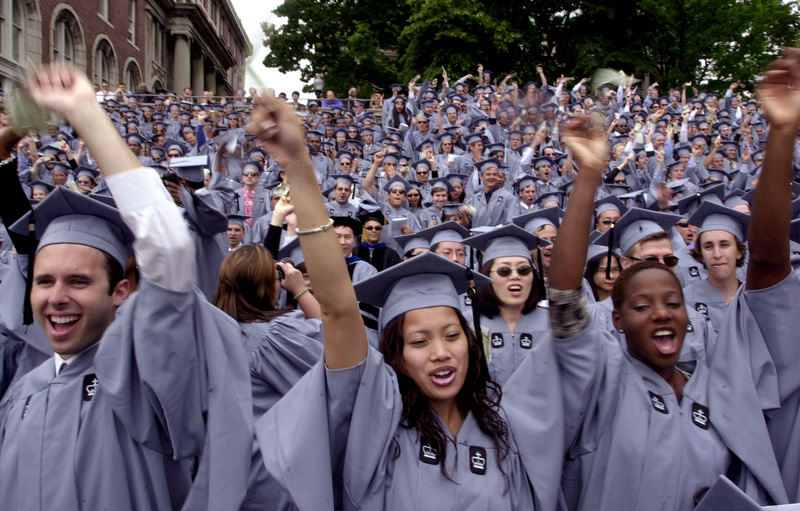 Is Student Debt Forgiveness Progressive? Forgiving student debt would benefit more than just the wealthy — but that doesn't mean we should be completely on board. David Leonhardt has a piece at the New York Times that argues that eliminating student debt is not progressive. The main point of the piece is that high-income families have higher student debt levels than low-income families and that across-the-board student debt relief would therefore benefit high-income families more than low-income families. In light of Leonhardt’s article and the flurry of social media activity that followed it, I figured it’d helpful to provide a variety of measures of the student debt distribution. As Leonhardt notes, student debt is positively related to income. The richest 20 percent of young families have an average student debt level of $21,186, while the student debt level of the poorest 20 percent stands at $9,679. The picture looks a lot different when you look at wealth. The bottom fifth of young families (measured by wealth) have an average student debt of $48,975. The next highest quintile — families between the sixtieth and eightieth percentiles — have an average student debt of $9,517. Since student debt is a balance-sheet thing (assets and liabilities), I suspect that it is this distribution that ordinary people feel, rightly or wrongly. In addition to looking at student debt by income quintile, it can also be helpful to flip the axes and see what the average income is in each student debt quintile. One difficulty of doing this is that only 43 percent of families with heads between the ages of twenty-five and forty have outstanding student loan balances. So for these purposes, I lump together the 57 percent without student debt into one bucket and then cut the 43 percent with student debt into two buckets and count them as the fourth and fifth quintiles. Finally, here is assets by student debt quintile. What this all shows is that the distributional story of student debt is a bit more complicated than Leonhardt lets on. Student debt disproportionately afflicts both the richest and least wealthiest young families, which confusingly scatters the ideological frameworks typically used to evaluate economic policy ideas. In my view, before we decide what to do about outstanding student debt, we need to get clearer on what we want to achieve in this area. Right now, the implicit reasoning of many on the Left seems to be that because we generally support making college free going forward, then it follows that we must forgive outstanding student debt. After all, if we had free college earlier, then those people would not be in debt in the first place. But this sort of reasoning has a lot of problems. For one thing, forgiving outstanding student debt does not actually make everyone who took on student debt whole as it provides no benefit to those who took on debt and then subsequently drained their potential savings to pay it off. More significantly, the idea that new benefits have to be backdated so as to compensate everyone who was around before they existed is obviously unworkable. Would we say that, after the implementation of Medicare for All, we’d need to write checks to reimburse everyone who ever had to pay premiums or copays before we switched to the national health insurance system? Free college is one thing. Figuring out what to do with outstanding student debt is quite another and involves much different considerations — considerations that currently seem to be under-theorized by everyone.